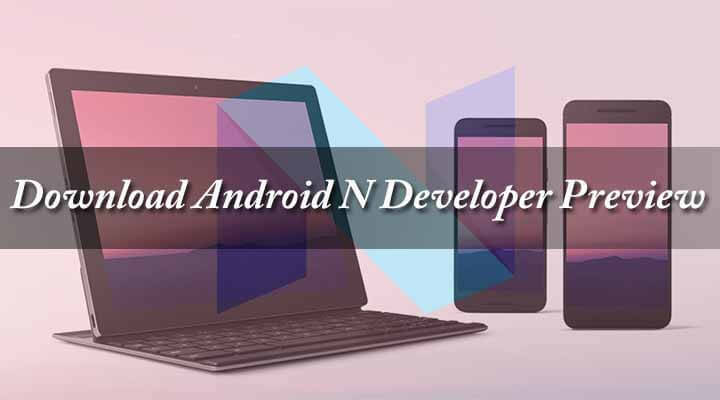 Here I will be sharing direct links to Download Android N Developer Preview for Nexus 5X, 6, 6P, 9, 9G, Nexus Player and Pixel C.Download the latest Android N firmware from the given links and follow the steps given below to Install / Flash Android N Developer Preview On your Nexus devices. Finally, google has released it’s latest Android N firmware for the latest Nexus devices.It is the latest Android after the Android Marshmallow 6.0.1.The devices which are getting this update are Nexus 5X, 6, 6P, 9, 9G, Nexus Player and Pixel C.We are not sure whether Nexus 5 is going to get this update or not. First Download the right Android N firmware for your device (According to the device’s name). Then navigate to Settings -> About -> Check System update. “A new System Update is available” notification will pop up.Just tap on Install and wait for the process to complete. Done!!! Your device should have the latest Android N Dev preview.